Butterfly Challenge: # 33 Butterflies + F is for Flowers. 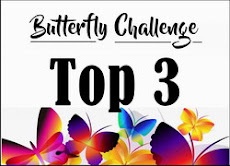 Just left my first Challenge entry. Gorgeous inspiration cards by Glenda and Mrs. A! Congrats to Glenda on her guest spot! This is a wonderful theme - hope to be back to play along! congrats to Glenda on her GD spot, and what a wonderful creation she has made. Such a very beautiful flower. Your creation is also very lovely, and a fab inspiration to me. Hope all are keeping well that enter the challenge, and good luck all. Thank you for such a wonderful challenge, and all your very hard work involved. Thank you for the challenge. Lovely cards by Glenda and you, Mrs. A.
Oh, my....such beautiful cards by the Guest Designer and the hostess. 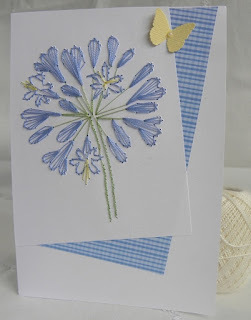 I adore that sweet embroidered flower and the card design. 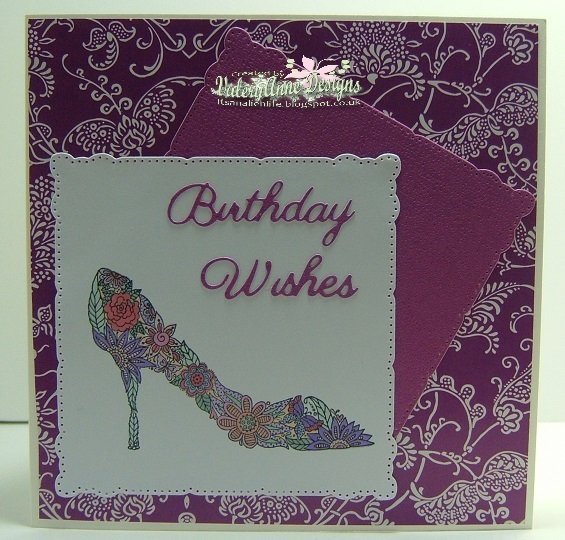 The shoe card is beyond exquisite!! 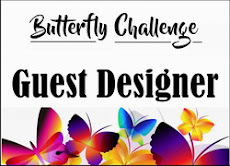 Thank you for this lovely challenge theme!! Absolutely beautiful cards! They just make the heart flutter. :o) Thank you for the inspiration and lovely challenge! 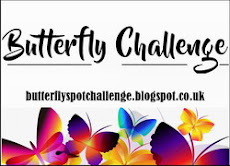 I'm back with another entry to this fab challenge. Super cards Mrs A! And a fun theme too. I've actually managed to join in twice this time - and with two very different cards. Such a lovely theme! Such beautiful paper embroidery! Great inspiration by all. 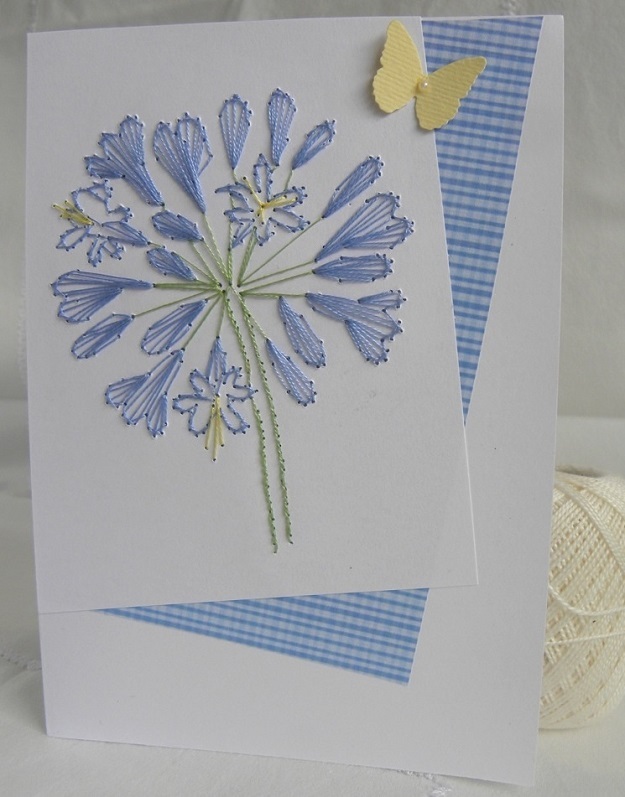 I am fluttering by once again not only to link up, but also to thank you for your beautiful comment on my sympathy card last week. It meant a lot to me and I appreciate it. :o) I hope your day is filled with love and sunshine. 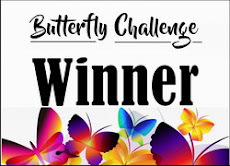 Finally did something that fits the butterfly challenge! Yeah! No thanks to the prizes. Just stopping by for fun.